Morgan, Madison and Megan in Missouri! At the corner of Oklahoma, Missouri and Kansas! Praying Hands Memorial, Webb City, MO. In late May, a massive tornado tore through Joplin destroying 25% of the city. You can see some of the destruction in this photo. Repair manuals are important after a tornado! Notice the damage in the background. Wow, you went to Vietnam? I want to hear all about your trip when we get back to school in September. Did you get any photos of you reading there? Yes, the students have been sending me the photos. Just take a digital photo. Email it to me at jhembree@lwsd.org as a jpeg attachment and I will take it from there! I do love the Praying Hands photo graph. 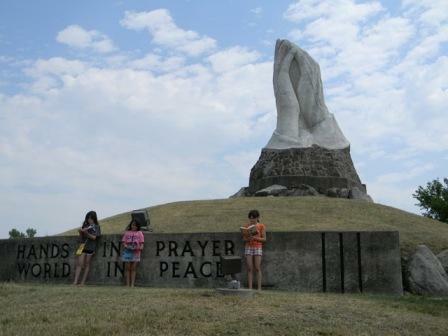 I would love to know more why this is a Memorial for and why is it called the Praying Hands. The girls sure have been to some wonderful places and reading a great selection of books too. Keep reading and can’t wait to see more photos. Yes, I agree with you! The photos the students are sending are spectacular! I was moved by the photo with the remnants of the tornado in Joplin. It only happened a couple of months ago and hundreds of people were affected by the damage. I have never been to the memorial, but I did find their website. http://www.prayinghands.org/ I thought you might want to read about it. I have more photos to publish next week, so stay tuned! Thank you for the link and I must say I found the information very moving. 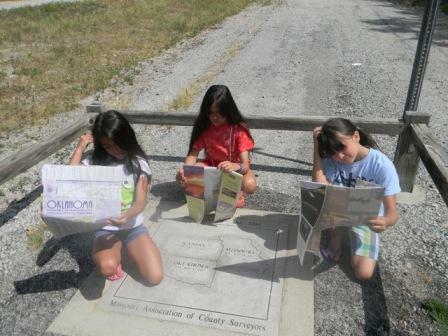 Yes I was just saying to my husband how I did find the photo of the girls reading in Joplin very moving as well. Can’t wait for your nexted lot of great photos so until nexted week take care. Once again great photos of the girls reading. 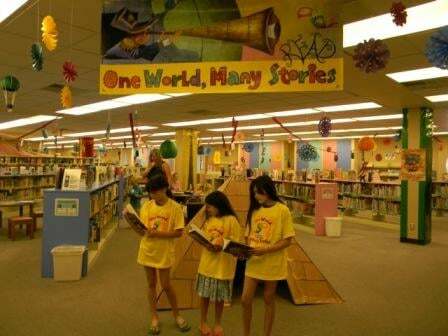 I found their photos very interesting becasue of all the different places they have been to and reading. 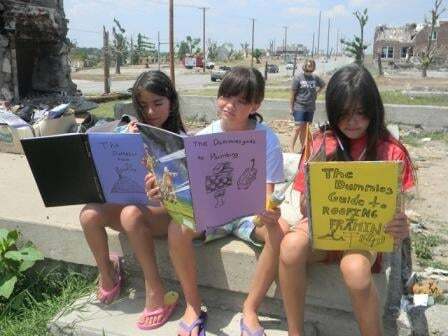 I felt very upset when I saw the girls were reading in Joplin where the tornado hit. I thought of all the people who lost their homes and loved ones. Looking forward to the nexted lot of photos. When I first saw the photos with the damage in the background, I didn’t understand. Then I remembered about the tornado that hit Joplin. I think it’s admirable that you have such compassion for people so far from you! Unfortunately you can’t add a photo to a comment. I have to add the photos. Great pictures from all the readers at AG Bell! Way to go Bulldogs!